St Andrew’s Church in Gatton, Surrey, is located in the grounds of the Gatton Park Estate, now a private school. Following a survey of all its windows, the Cathedral studios undertook the conservation of a number of them in urgent need of attention. 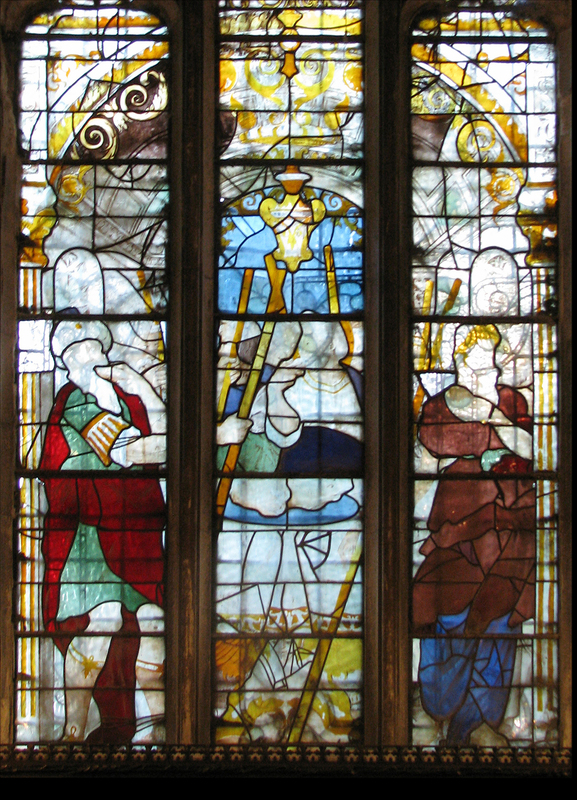 The most notable of those undertaken was the large East window which was created in the 16th Century, this window illustrates the ‘Eating of the Passover Meal’. 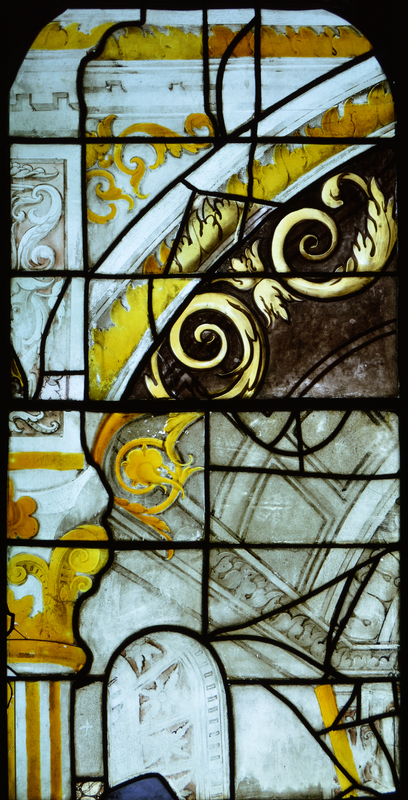 Using dark grisaille paint, yellow silver stain and red sanguine paint for flesh, it is an extremely fine example of Renaissance craftsmanship and design. 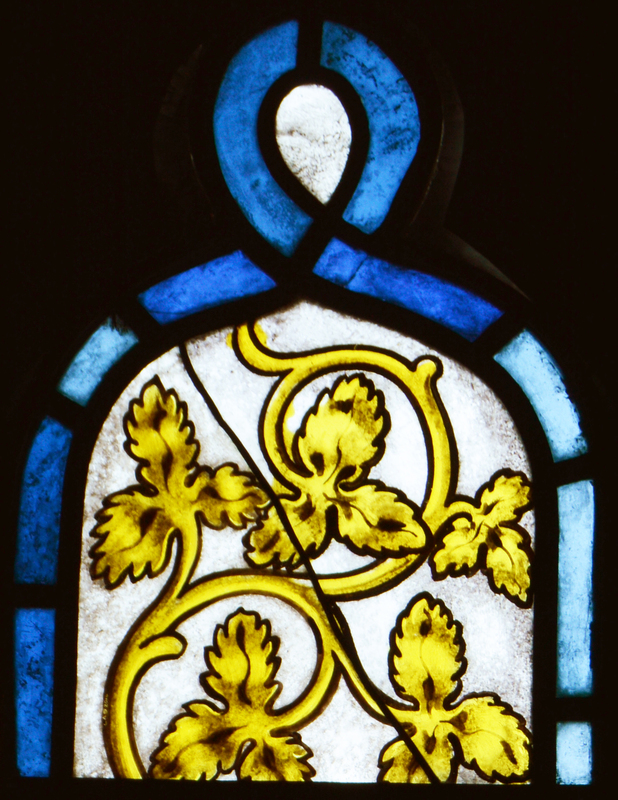 There were many problems with this window, the stained glass panels and its external glazing system had been fixed tightly together into the same stone groove, with ferociously hard pointing material. This had caused the glass to crack and trapped moisture had caused the surrounding stonework to rot. The glass had suffered severe paint loss due to atmospheric humidity and water ingress, and the lead had become very unstable. 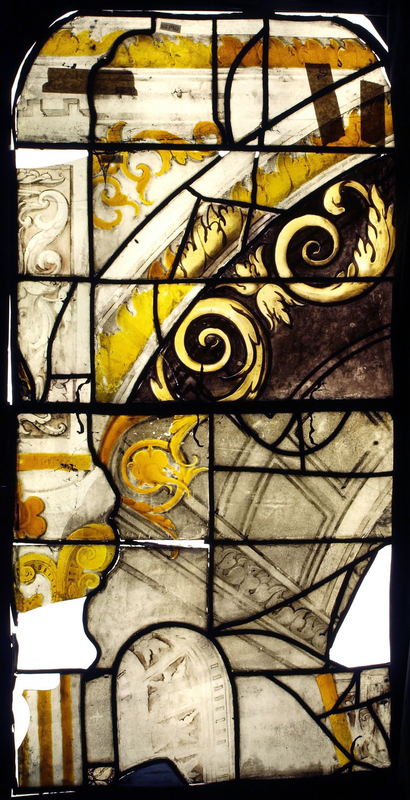 The stained glass was removed and repaired and conservation work was undertaken at the studios. 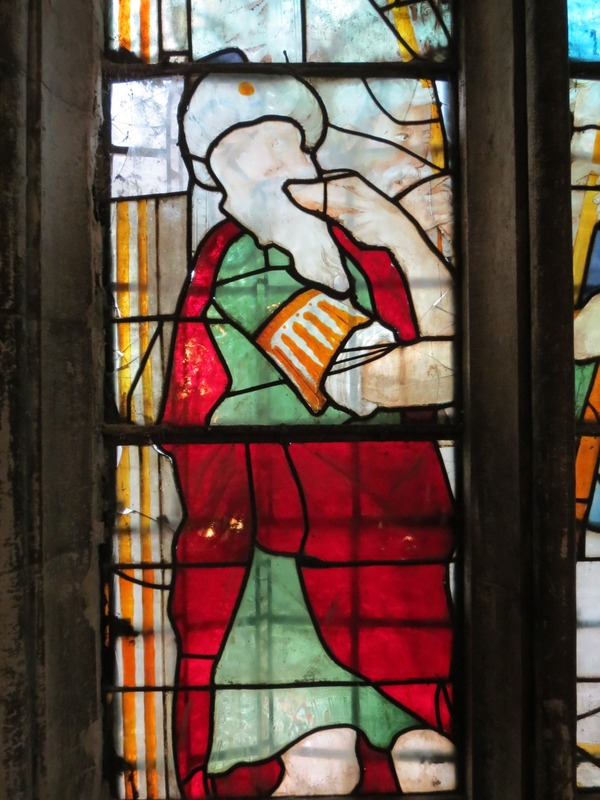 The conserved window was re-installed behind a new protective glazing system that would help prevent further deterioration of the stone, glass and paintwork. 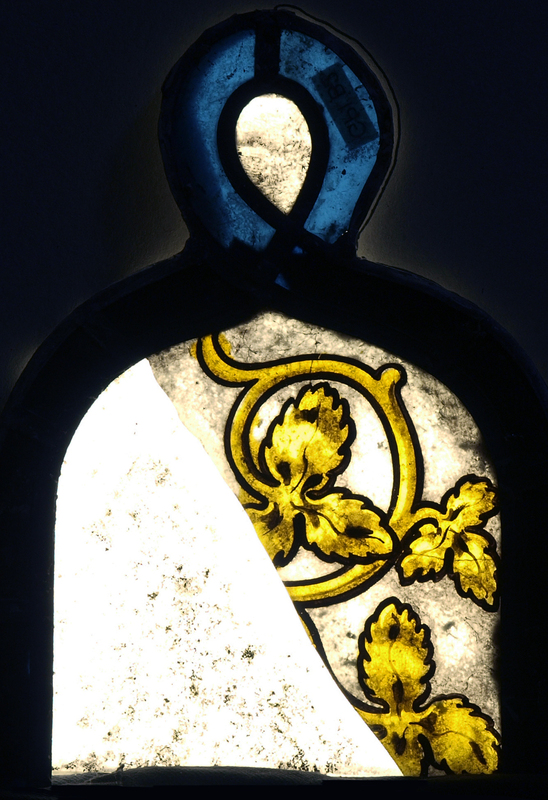 As so much of the paintwork had been lost, a digital reconstruction was created via Adobe Photoshop to show how the window was likely to have appeared in its original condition. The result is the right-hand image. This was done by superimposing reflected light photographs onto transmitted light (light box) photographs of the window.